Eczema is a skin condition and if it appears on the face, it can be quite unpleasant. The skin becomes itchy, scaly and is often accompanied by a rash which makes it look even worse. The face is the first part that other people notice, so having facial eczema is not fun at all. What can you do about it? What Causes Eczema on Face? The real cause of eczema is not known until today, so it is very important to know its triggers and to avoid them as much as possible. Everyone is unique, so knowing what triggers your eczema is a must. If you have facial eczema, you should start by avoiding the use of the cosmetic products for some time. This means to avoid any facial masks, creams, lotions, scrubs, shaving creams, etc. and to look for changes. Instead, use natural and organic products such as chamomile, rose water, aloe vera, rosehip seed oil, etc. which have a calming effect on the skin and reduce the inflammation. If after one month of not using any cosmetic products, your eczema hasn’t got any better, this means that something else is triggering the flare-ups. But, if your skin has recovered or eczema has totally disappeared, this means that one or more of the products that you have been using daily have irritated your face skin. Another potential trigger of eczema on face is animals and a direct contact with them. Certain types of food can trigger eczema as well, mostly nuts, corn, seeds, eggs, dairy products, soy, wheat, etc. If you think that something from your diet is triggering eczema flare-ups, you will need to start eliminating these foods from your diet one by one, by watching any changes in your skin. This process will take a couple of months, but be patient and in the end, you will find your eczema triggers. Skin redness, commonly known as erythema is perhaps the most obvious sign of facial eczema. 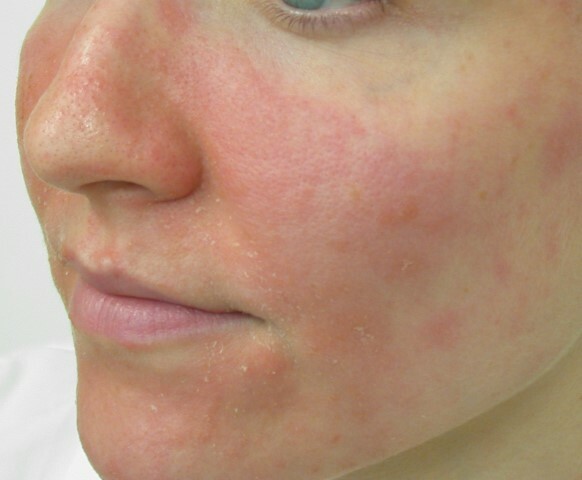 This skin redness is also accompanied with a dry, scaly and itchy skin. When it comes to facial eczema it usually appears on the cheeks, but it can also spread to other parts of the face and body as well. A cracking of the skin behind the ears is also possible, as well as, open, crust, and weeping sores. A cold compress is a non-medical treatment which can help relieve the signs and symptoms of eczema, especially itchiness and skin inflammation. Use a cold cloth which was previously dipped into cold water. Let the cold cloth remain in its place until the itchiness subsides. Normally, the outer skin layer is damaged and fragile due to eczema. For this reason, it is very important to gently clean and handle the skin. Mild cleansers should be used, applying them gently so that the skin does not get even more irritated or damaged. With lukewarm water rinse the cleanser carefully. Use nonabrasive towels to dry the skin carefully. Avoid soaps as they will make the signs and symptoms of eczema get even worse. By using regularly skin emollients and moisturizers, the skin dryness and scaling will be reduced. While emollients will help maintain the skin soft, moisturizers will prevent water loss from the skin. By using them regularly, the skin irritation caused by eczema will be reduced. Various medications are available for the treatment of eczema. In cases of a skin infection, antibiotics are recommended. In cases of itchiness due to eczema, antihistamines are prescribed. Other medications commonly recommended for the treatment of eczema are corticosteroid creams and ointments, as well as, corticosteroid injections. 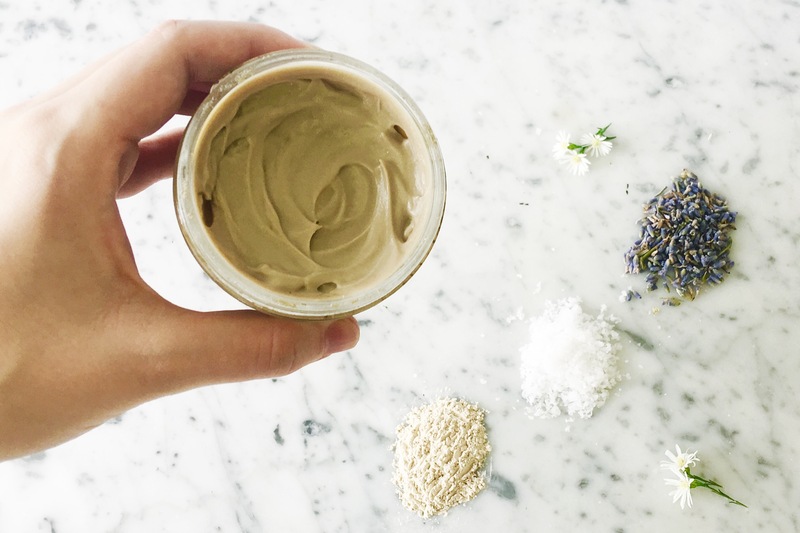 If your eczema is not getting better despite all the above-mentioned treatments or in cases of severe facial eczema, you should consider using the new topical agent tacrolimus ointment. This ointment has powerful immunosuppressant properties, with fewer side effects when compared to topical steroids. Testimonials have shown that in the beginning, it can cause a burning sensation, but on the other hand, it has been highly effective in the treatment of eczema, especially severe eczema on face. 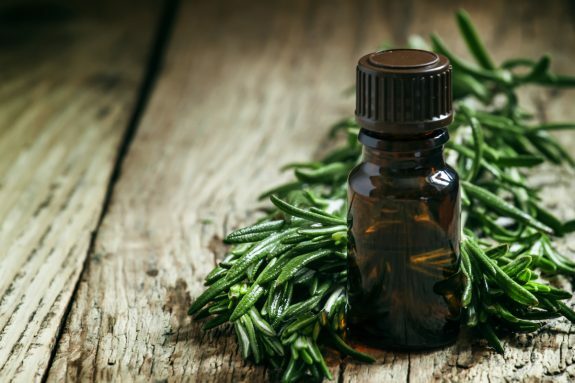 Tea tree oil is known for many health benefits. When it comes to eczema, tea tree oil has soothing and disinfectant properties. With the help of antibacterial agents, the bacteria on the skin will be eliminated, which will normally calm down the face skin. For better and quicker results, apply tea tree oil at least three times a day. However, it should not be used alone as it can dry the skin even more, but it should be used with a carrier oil. 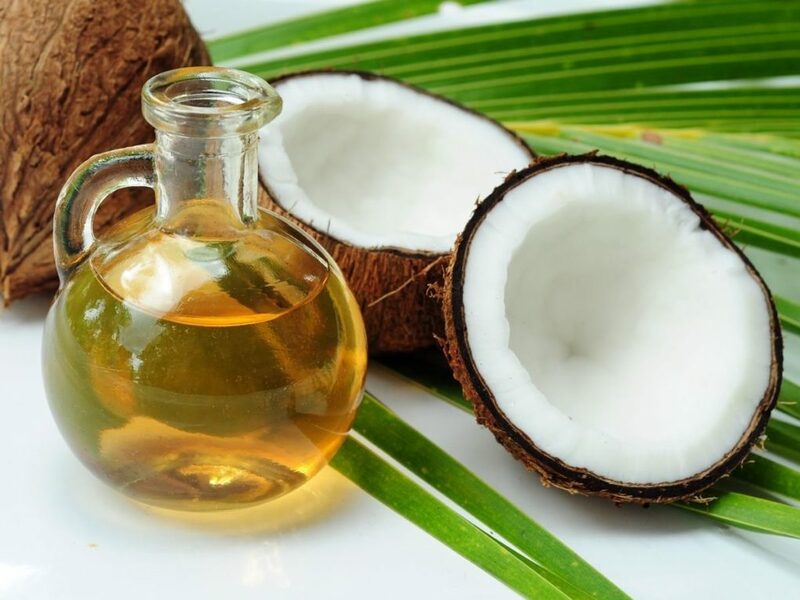 Coconut oil is known for its antimicrobial and anti-fungal properties. These will help reduce the inflammation. It is also rich in vitamins K and E which will nourish the skin, speeding up the recovery. If you want to get rid of eczema, then rub your face with coconut oil, a couple of times a day. Olive oil is very healthy and when it comes to the treatment of facial eczema, it will help relieve the inflammation due to the presence of anti-inflammatory and anti-oxidant agents. Olive oil is rich in vitamin E as well, which will help moisturize the skin and speed up its recovery. Olive oil will also reduce the itchiness due to eczema. You can apply olive oil mixed with honey on your face. Leave it for about 20 minutes and then rinse off the mixture with lukewarm water. 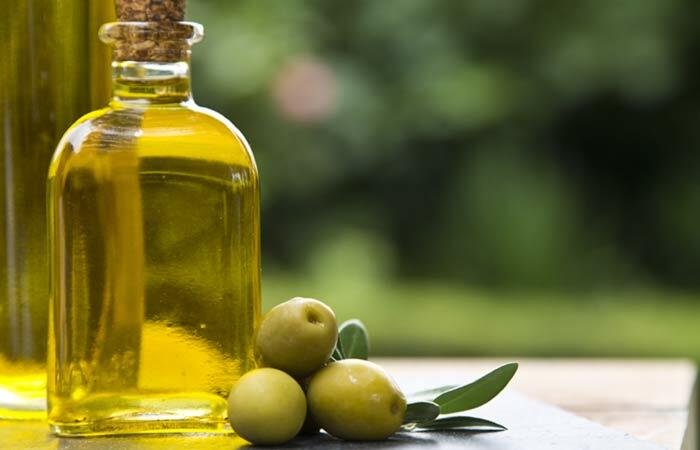 For better results, apply olive oil at least three times a day until your facial eczema disappears. 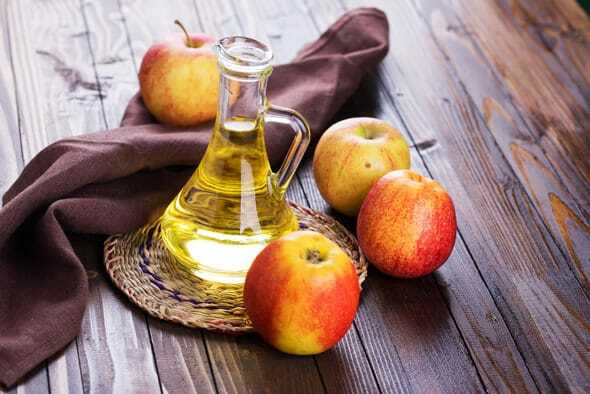 Apple cider vinegar is a great home remedy for facial eczema. It helps speed up the recovery of your face’s skin due to its antibacterial, anti-fungal and antiviral properties. Before applying it to your face, with the help of cotton ball, mix it with water. Apply the mixture every morning and every evening before going to sleep. Repeat the treatment until your facial eczema disappears. Calamine lotion, when prepared at home, will calm down the itchiness due to eczema. This lotion works based on two ingredients, zinc oxide and iron oxide which have a very important role in the treatment of eczema. Prepare the lotion at home and apply it to the skin until the skin sores disappear and your eczema is completely treated. How Often Can You Bathe Your Baby in the Case of Eczema?